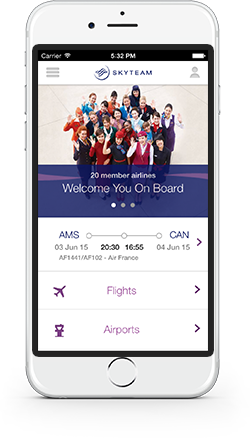 Amsterdam, November 19, 2015 – SkyTeam, the global airline alliance, has appointed a new leadership team. Perry Cantarutti has been named as Chief Executive Officer and Michael Wisbrun takes over as the Chairman of the Governing Board. The appointments were confirmed today at a meeting of the alliance’s Governing Board, which is composed of CEOs and Chairmen of the 20 member airlines. Leo van Wijk has retired after more than 8 years as the Chairman of the alliance. Cantarutti joins SkyTeam from Delta Air Lines where he held the position of Senior Vice President Europe, Middle East and Africa. During his five years in this role, Cantarutti was instrumental in maximising the profitability of the airline’s trans-Atlantic operations and identifying growth opportunities for its joint venture with Air France, KLM and Alitalia – the industry’s largest trans-Atlantic alliance. “Perry brings with him a wealth of experience gained throughout 23 years in the aviation industry which, combined with his track record of forging successful airline partnerships and driving customer-focused results, will make him a dynamic leader of the SkyTeam alliance,” said Michael Wisbrun, SkyTeam’s new Chairman of the Governing Board. Now in its 15th anniversary year, SkyTeam is the global airline alliance with 20 member airlines working together to offer seamless travel on an extensive global network. From top hubs around the world, SkyTeam members provide reliable and comfortable journeys to over 1,050 destinations. SkyTeam customers can unwind in 636 lounges as they travel, earn and redeem Frequent Flyer Miles. SkyTeam Elite Plus customers are eligible for SkyPriority services. The 20 members are: Aeroflot, Aerolíneas Argentinas, Aeroméxico, Air Europa, Air France, Alitalia, China Airlines, China Eastern, China Southern, Czech Airlines, Delta Air Lines, Garuda Indonesia, Kenya Airways, KLM Royal Dutch Airlines, Korean Air, Middle East Airlines, Saudia, TAROM, Vietnam Airlines and Xiamen Airlines. SkyTeam welcomes 612 million customers each year on more than 16,270 daily flights to 1,057 destinations in 179 countries.